What is Classical Chinese medicine? Home Articles What is Classical Chinese medicine? Classical Chinese medicine generally refers to the medicine of imperial China from around the time of the Han dynasty. 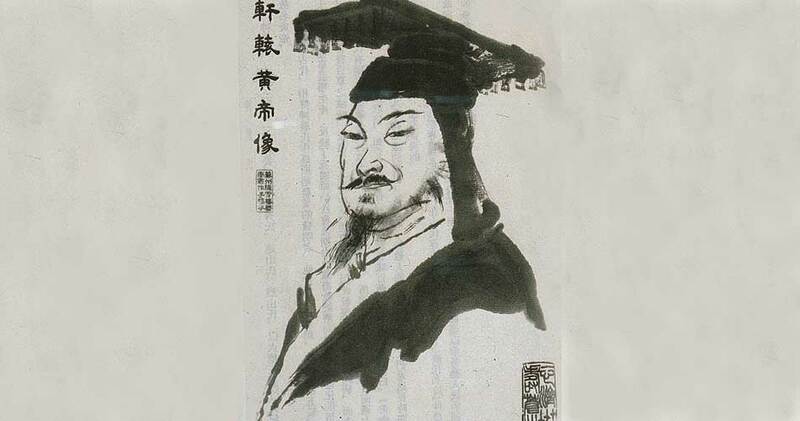 The Han dynasty spanned four centuries (206 BC – 220 AD) and is considered by many to be the golden age of Chinese medicine. A large portion of the landmark texts of Chinese medicine were compiled during the Han dynasty. These texts are referred to as the ‘canons’ or ‘classics’. Only a medical text from this period can be called a ‘classic’. These texts are the foundation of Chinese medicine. What’s astounding is that while they are themselves at least 1800 years old, they also themselves refer to “the classics”, an even older generation of texts which unfortunately are now lost. This gives us a glimpse of how truly ancient this medicine is. The knowledge within the list of texts above is vast. The quality and complexity of the information shows us how mature and complete the medicine was at the time of their writing. Following the Han dynasty, there were still many important developments in Chinese medicine. Aside from the endless volumes of commentary written on the classics, specialty fields were expanded, and regional medicine developed. Warm Disease School – Looks towards “warm” pathogens as the cause of illness. This is an example of a regional variation, developed in southern China where there is a higher incidence of fever illnesses and tropical disease. Spleen Stomach School – Looks towards disharmonies of the spleen and stomach, and the digestive system, as a major cause of illness. Fire Spirit School – Another regional school of the high mountainous regions of Sichuan. They look towards “cold” as the primary damaging agent to human health. This school might be considered a more extreme version of the Cold Damage School, the school that closely adheres to the Shang Han Za Bing Lun text. Aside from the major schools, thousands of separate lineages developed. Some of these lineages represented unbroken chains of knowledge, passed from one generation to the next, spanning literally thousands of years. Some were just a few family secrets for the treatment of certain local illnesses. Others were complete systems of medicine. Sometimes the knowledge was passed from master to a handful of disciples. Institutions like monasteries also trained members in their styles. There were acupuncture traditions and herbal medicine traditions. There were many specialty traditions too like the “fall and strike”, or “combat”, medicine of the Shao Lin monasteries. Why did classical styles fall out of favor? Way before the modern creation of Traditional Chinese Medicine, there had for a long time been a trend away from the classical styles of practice (i.e. Classical Chinese Medicine). There are a few possible explanations for this. To study the major concepts of the classics, like yin yang, the five elements and the six qi, is relatively straight forward, but to go deep into the classics is hard work. The language used, particularly in the theoretical classics like the Huang Di Nei Jing, can be abstract and often cryptic. Even the structure of the more practical classics like Shang Han Za Bing Lun, while certainly not inaccessible, are more difficult to grasp than later methods of arranging the material. Using this particular text as an example, diseases are categorised into abstract layers of depth within the body. Like an onion, the layers run from the superficial to the deep. An illness in any one layer can potentially affect multiple organs and tissues. Later schools moved away from this categorisation towards organ differentiation whereby diseases were attached to the imbalances of individual organs. Such an approach is much more tangible and finite, and it is understandable that it became the more widely practised method of disease classification. While the history of Chinese medicine is dotted with government initiatives to review and standardise the medicine, the last one began in the late 1950’s under Mao Zedong. What we today call “Traditional Chinese Medicine”, is the product of Mao’s standardisation. It would have been an enormous task, and was to allow Chinese medicine to be more uniformly taught in universities, and practised in hospitals, and researched using modern scientific methods. Around that time there had already been a major shift from Confucianism to Marxism, and there was also a desperate desire to make China more “scientific”. There is no doubt that these factors influenced the process. Further, in true communist style, in not wanting to promote any one individual over the collective, all the major currents of the medicine, many of them conflicting, were combined. Whilst this standardisation probably was necessary, unfortunately many of the unique styles and ancient lineages were lost. Understandably, with their future career prospects in mind, modern students opt for state recognised university training over sitting with a master to slowly absorb their knowledge. The TCM taught today, in universities worldwide, thankfully still includes study of the major traditional schools, so students can recognise where the major theories and treatment approaches originated, and eventually adopt a particular style or school in their practice should they choose to do so. Importantly, their study still refers heavily to the classics, testament to the timeless nature of the information that these texts hold. Interested in being treated with Classical Chinese Medicine? Get in touch with our clinic here.